Since October of 2015, medical marijuana patient numbers have dropped 43% and growers are down a mind-numbing 54%. This decrease in patient enrollment and the number of patients that are designating a grower does not mean fewer Oregonians are using cannabis as medicine – a case can be made for just the opposite being true. It does, more correctly, point to a system that may have become too burdensome for Oregonians to participate as patients and too expensive to participate as growers. A common belief was that legalization was going to change things and one of those changes was an expected reduction in patient numbers. 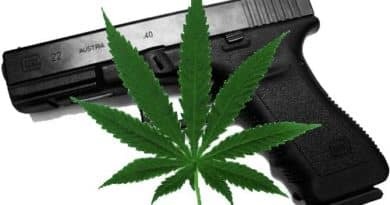 The thinking was that those that were just “scamming the system” would no longer need a medical card to purchase cannabis legally, but the dramatic drop has caught many by surprise. 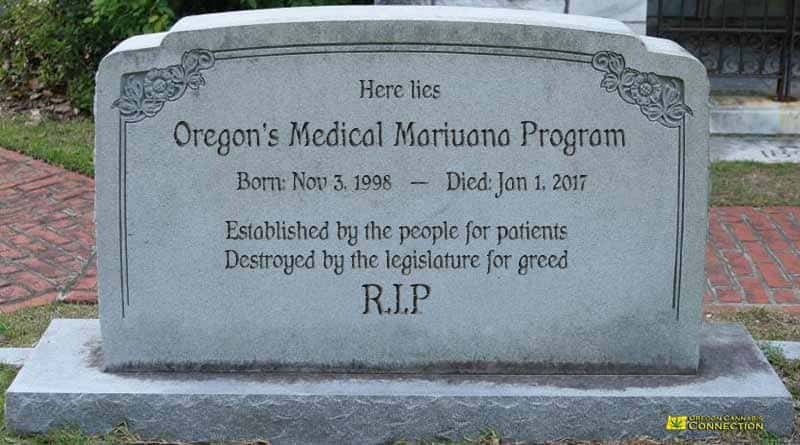 In October of 2015, the number of patients in the Oregon Medical Marijuana Program (OMMP) hit an all-time high of 78,045 patients and 48,699 growers. Today those numbers stand at 45,210 patients, and 22,810 growers. In addition, as of January 2015, the number of the 78,045 patients that did not designate a grower stood at 8,461. That number is now 19,701, more than double over the last three years. So what has caused this decline and what does it mean for the future of Oregon’s medical program? In 2013, Oregon created the medical marijuana dispensary system. Prior to that, dispensaries and buyer’s clubs had begun operating outside of statute, completely illegal and unregulated. In larger metropolitan areas these clubs and stores were tolerated, and in Lane and Multnomah Counties they operated openly and for the most part, without consequence. In Washington, Clackamas, Jackson and other counties and cities around the state, things were not as easy and more than one dispensary was shuttered and owners arrested. But the race to step up production was on and as more and more dispensaries began to appear, growers expanded production by adding patients. Then, in 2014, Oregon legalized cannabis for adults 21 and over and all bets were off. 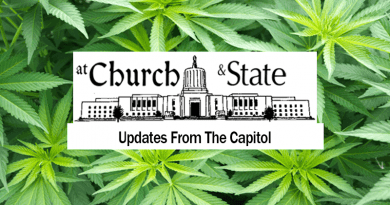 After becoming legal, the legislature allowed the medical only stores to sell limited amounts of cannabis and cannabis products to any adult 21 or older beginning in July of 2015. This law was to sunset on December 31st of 2015, and it caused most OMMP medical only stores to switch to OLCC stores because that is where the money was being made. The stores that remained, and were serving patients only, were located primarily in cities that opted out of OLCC licensing and sales. To date there are only about six medical only stores left and the outlook is not promising. From around 2010, the OMMP growers began to supply the expanding medical market, and it was being produced by the tons. 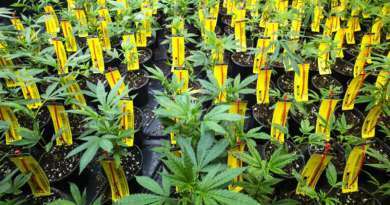 At the time, it was estimated that Oregon marijuana growers were producing as much a 500,000 pounds of quality flower per year while only consuming just over 100,000 pounds of the overall production. Growers were scrambling to find patients. Clinics where patients would get their card signed by a physician were referring many of their patients to growers that were looking for patients. Some growers were assigned patients they had never met but were happy to add them, and their six plants, to their grow site. Many of these growers did, and still do, pay all the costs incurred by the patient, including the cost of the doctor’s visit, the card fees, and the grow site registration fees. The growers were also filing all the grow sites reports as well as processing, packaging and delivering product to their patients. And because of this simple chain of events, patient numbers soared. Then, as OMMP growers began to migrate to the OLCC system, those patients were no longer needed. Those patients had been receiving free medicine from growers they had never met–at grow sties they had never been to–and whose costs were also being paid by the growers. When those patients were faced with paying to renew as a patient themselves, they did not have the resources to meet all the costs of getting a card and never renewed them. For some it was simply the cost of getting a card and the hassle of finding a grower that pushed them away. For others the amount of product they typically use could be purchased for less than the cost of getting a card. Some were finding what they needed in other ways, and others just simply stepped away from the program … including long-time growers. In January of 2015 there were 68,000 patients. In October it had climbed to 78,000 and 48,699 growers. By October of 2016, it had dropped back to 68,000. Nine months later, in July of 2017, patient numbers had dropped to 61,000. Now patients total only 45,000, with only 22,000 growers remaining. This downward spiral is likely to continue. The bottom line is, patients and their growers are running out of options.